So once my block if completely finished, I figure it deserves a long, hot bubble bath….and so do I!!! My blocks may not look dirty, but they do need to be cleaned up a bit. I use starch, glue and marking pens on my blocks. The blocks may, or may not, have cat hair on them. I want all that stuff removed before the block is stitched into a quilt. I do not have to worry about my fabrics running because I have pre-washed everything in hot water and Synthrapol. I fill the sink with hot water and add a squirt of liquid soap. I use either dishwashing soap or whatever hand soap in nearby. Then I dunk the block in the water. Do not be nervous! I usually let it sit for 20 minutes or so. One time I went out for a couple of hours and forgot about the block soaking in the sink. It survived. I am always very surprised (and sometimes a little grossed out) at how grungy and grey the water is. I let the water out of the sink and rinse the block under warm water until the bubbles are gone. Then I gently press the water out with my hands. Do not twist the block…it is not a dishcloth!! Next, I roll the block up in a thick towel and press out any excess water. Then I lay the block out flat on a dry towel and let it air dry. I like to put pins in the corners to keep the block flat when it is drying. And finally, once the block is dry, I like to turn the block over and give it a final pressing on a thick towel. Also, doo·zer [doo-zer] something that is extraordinary or outstanding of its kind: The storm was a doozie, with winds of fifty miles an hour. « I think I can…..I think I can!! Glad to hear it!! Now I am going to go take a long, hot bubble bath!! Thank you for visiting my blog and leaving a lovely comment! I am looking forward to watching your progress with block 7. It certainly is a doozie!!! Your block is beautiful, as are all of your applique projects. I like your Roseville Album blocks – with both fabric collections 🙂 and the feathered star quilt is wonderful. 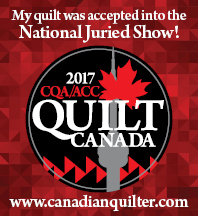 I have enjoyed reading about all of your quilts in progress and am now anxious to see how you do the “doozie”. Glad I found your blog! Thanks for the lovely comments! I have started the “doozie” block and will post pictures tomorrow! Oh my gosh! Thanks for the lovely comment! Your question has actually got me thinking about how I spend my time. I think I am just able to focus on what I am doing at the time and not get distracted. I love to applique. I love the whole process, the prepping and the stitching. I only make quilts I love, and only use fabrics I love. I think that helps! Oh… and I do as little housework as possible! !